As a beginner, it can be overwhelming going into an art supply shop. 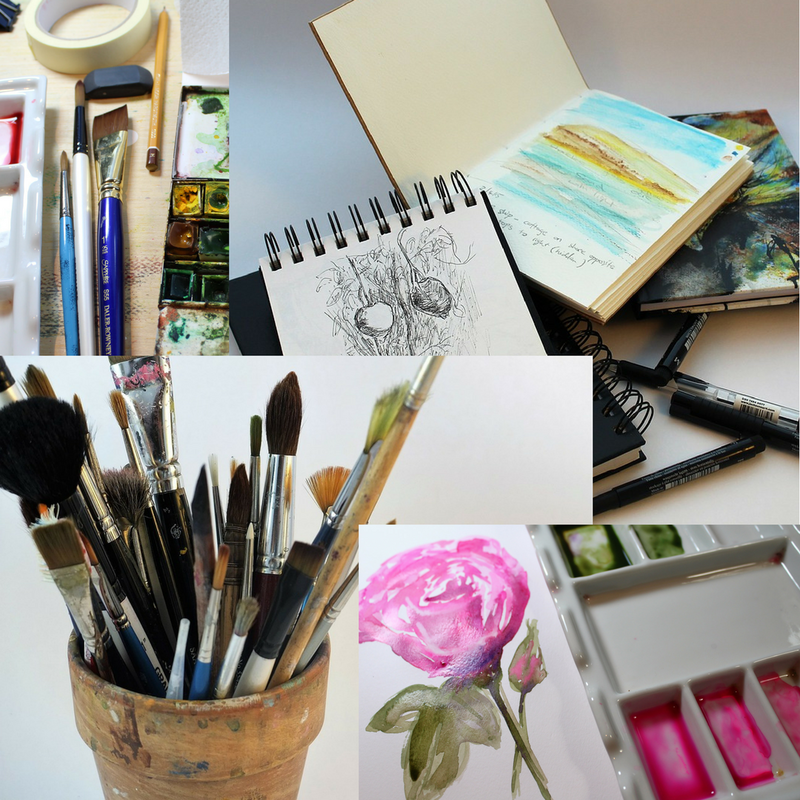 Art shops are full of such a wide variety of papers, paint colours and different shapes and sizes of brushes that it can be difficult knowing just where to start. In this Thursday's YouTube video, I talk through some of the supplies and colours I recommend for beginners just starting out. Of course, you may wish to tailor this to your own budget and it isn't necessary to buy everything to begin with. 1. Board, not essential but good to have and you can easily make your own. 2. Masking tape, can be bought from a DIY shop. 3. Watercolour paper - recommended 140lb NOT pressed, either loose or in a pad. 6. Brushes - recommended synthetic round size 6 and 12 and a large flat brush. 7. Water pots - 2 x jam jars. 8. Watercolour paint, either student or Artist's quality depending on budget. Colours - French Ultramarine, Cobalt Blue, Yellow Ochre, Cadmium Yellow, Alizarin Crimson, Burnt Sienna and Burnt Umber. 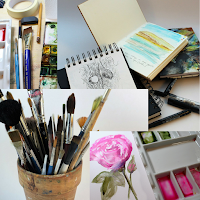 I was recently invited to join the Amazon Influencer programme and most of the products I use in my own work can be found in my influencer shop, by clicking the button below. You can learn more about beginners watercolour by subscribing to my YouTube channel, linked below. Please let me know if you have any suggestions for future videos and blog posts, it's a great help to know what you think and what tips you may need. Don't forget you can also find FREE downloadable PDF information sheets in the shop section of my website. Comments always welcome, thank you.